My favorite framelits from the Holiday Catalog are most certainly Patterned Pumpkins! I love all of the ways you can arrange the pieces and how they cut out those cute pumpkins from Pick A Pumpkin stamps. Here I focused on the Basic Black using it for my card base as well as a couple of the leaves and those Black Rhinestones. I left the card base largely untouched for more of a dramatic background. 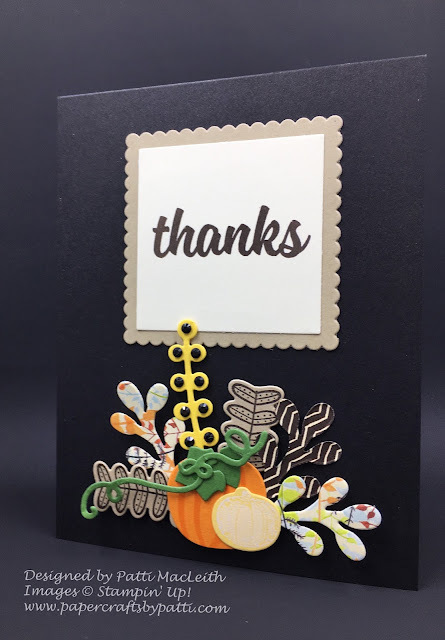 I stamped the small pumpkin in Craft White onto So Saffron Card Stock to give it that White Pumpkin look! What do you think? I'd love to read your comments. Thank you for visiting! Have a great day. 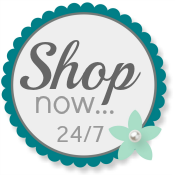 Use my Online Store when you are ready to order.